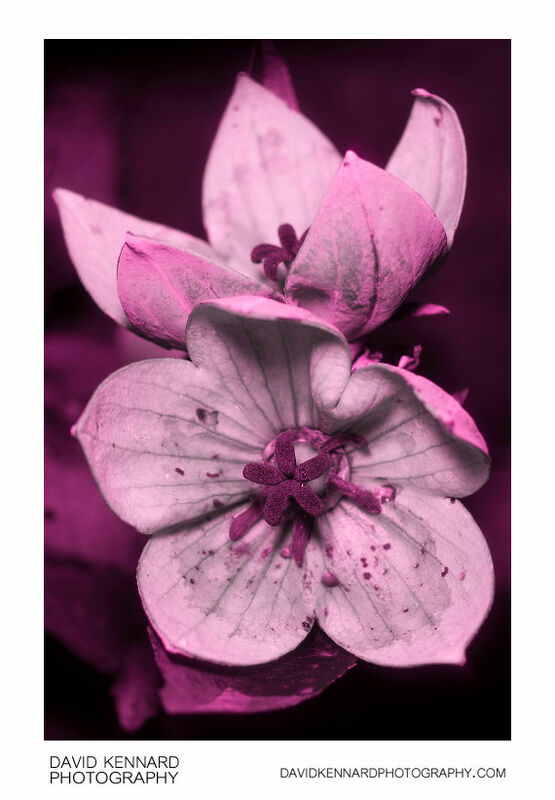 Ultraviolet photo of the flowers of a Platycodon grandiflorus 'Astra Pink' plant. In ultraviolet light the stigma is quite dark, contrasting with its bright white appearance in visible light. The withered stamens around the edge at the centre of the flower also appear much darker in ultraviolet than they do in visible light. The veining on the petals is very slightly darker in ultraviolet than in visible.